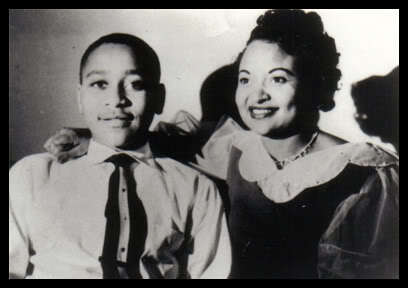 (Large photo) Emmett Till photographed with his mother in Chicago, Illinois, 1954. (Small photo) Representative Karl Oliver, Mississippi House, District 46. 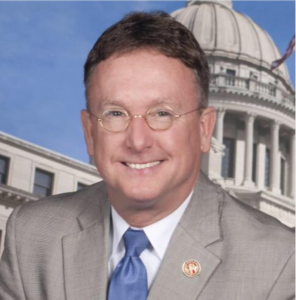 Mississippi state representative Karl Oliver recently lambasted the removal of Confederate memorials in Louisiana. The representative’s language contains the hyperbole, tortured syntax, and hazy imprecision we often hear in political discourse. For example, “Nazi-ish”—Oliver’s coinage—has come to mean most anything a speaker doesn’t agree with, regardless of which side of the aisle he sits. But Oliver’s larger rhetorical purpose was laser sharp, with ALL CAPS for emphasis. And we pencil-headed grammar types always admire a Latinate periodic sentence, its meaning withheld until the final word. Rep. Oliver’s “lynching” comment provoked the sort of social media firestorm you’d expect, along with backlash from fellow legislators. So Rep. Oliver issued an apology. Sort of. I don’t think “embarrassment” quite covers what some African American citizens of Mississippi must have felt. “Outrage” or “revulsion” might be more accurate. Yet Oliver didn’t seem to be concerned about those Mississippians. And Rep. Oliver’s word choice wasn’t “horribly wrong.” It was horribly right. “Lynched” was an especially appropriate word for the Rep. Oliver to employ, in light of the fact that his district includes the town of Money, where 14-year-old Emmett Till was lynched for speaking to a white woman in 1955. The African American boy was beaten and mutilated before he was fatally shot, his body dumped from a bridge near the Tallahatchie River. Two white men, Roy Bryant—the husband of the white woman Emmett was said to have offended, and J. W. Milam, Bryant’s half-brother—were arrested and tried for murder, and both were acquitted. These men gave an interview to Look magazine in 1956. Such “rights” were exercised all too frequently. According to the NAACP, Mississippi led the nation with the highest number of lynchings from 1882 to 1968—with a total of 581. Hard to imagine that Rep. Oliver, born and raised in Winona, where he now works as a funeral director, could be ignorant of this legacy. His town’s just a few miles down the road from Money. So was Oliver’s invoking lynching rhetorically “embarrassing”? No. It was vile and corrupt. It was a message on the one side to “keep the skeer on ’em,” as Confederate cavalry officer and Ku Klux Klan founder Nathan Bedford Forrest famously said, and on the other, a dog whistle summoning white racist pride. Or any topic. Anywhere else on earth. Posted in Blog and tagged emmett till, karl oliver, lynching, mississippi legislature, nathan bedford forrest, racial justice. Copyright ©2015 Ross Howell Jr.